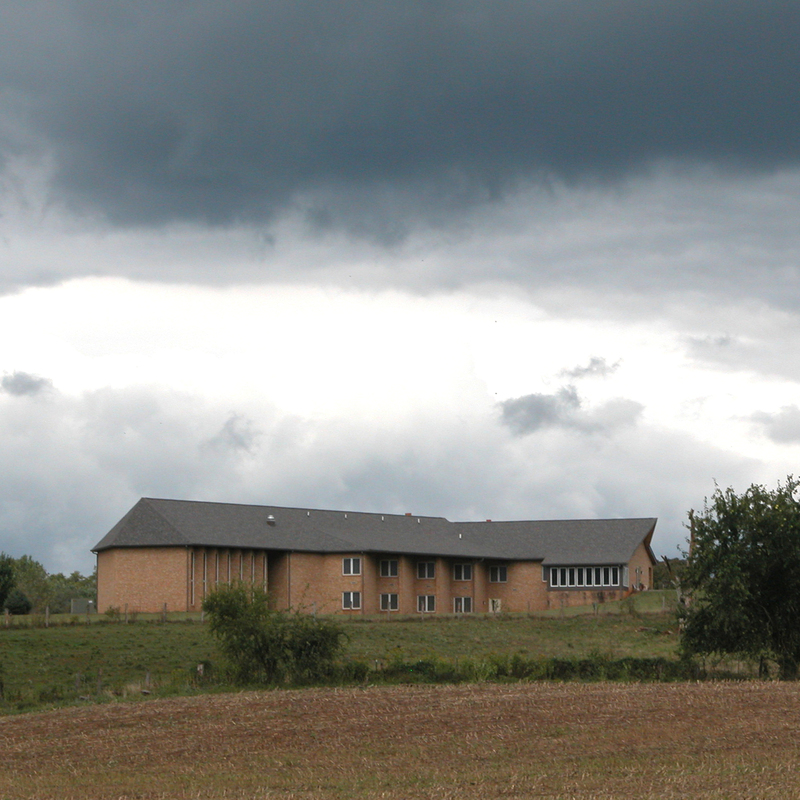 Welcome to Holy Cross Abbey’s Retreat House. 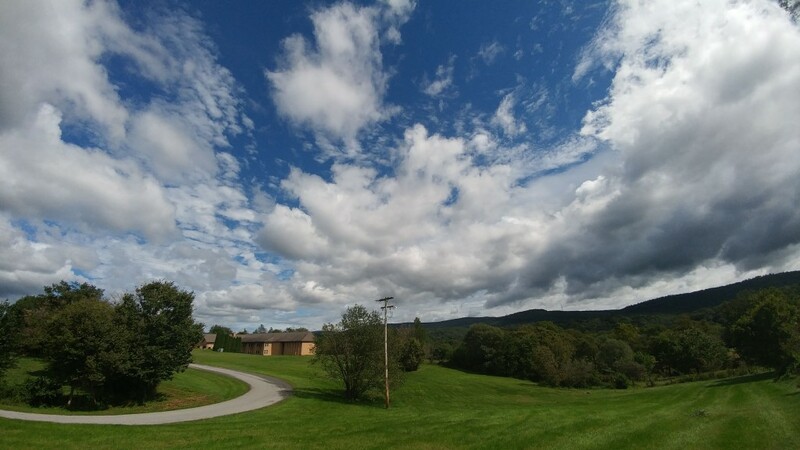 In this ministry, we are able to share with you our monastic life–the silence and solitude, the natural beauty of our setting, and the monastic liturgy throughout the day. 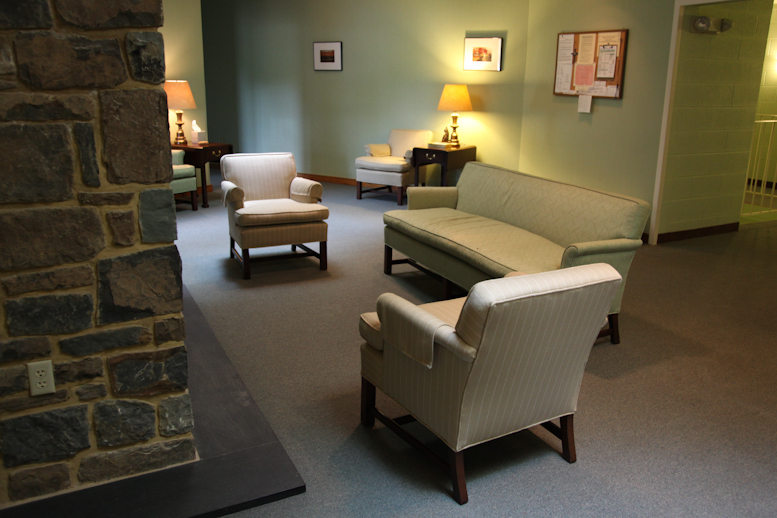 The monks think of the Retreat House as our guest house, but this is not just a place for an overnight stay. 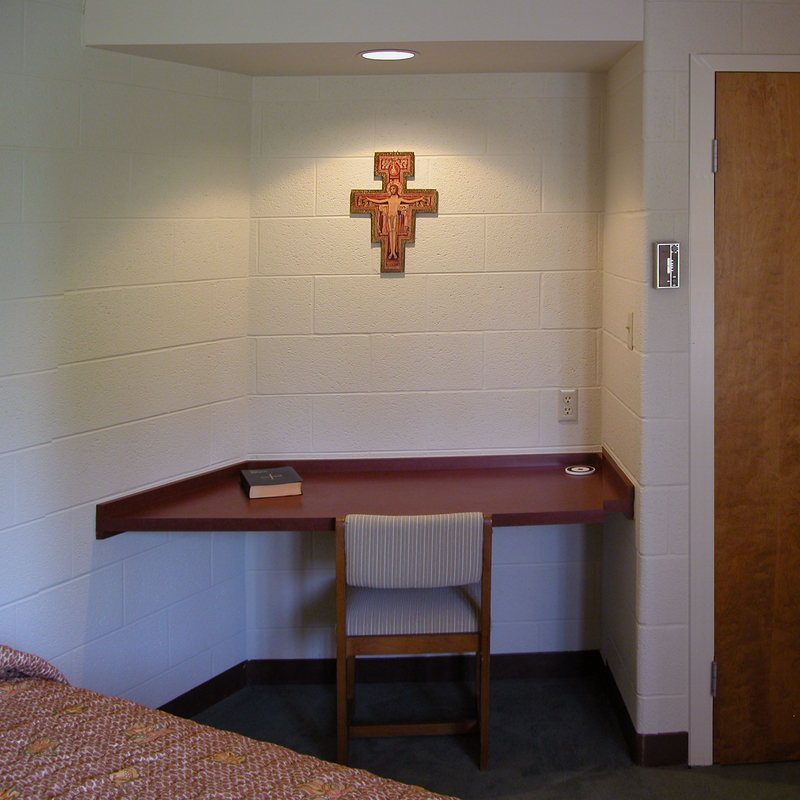 Rather our Retreat House is specifically for those who need time to reflect on their lives, pray or refresh themselves spiritually. 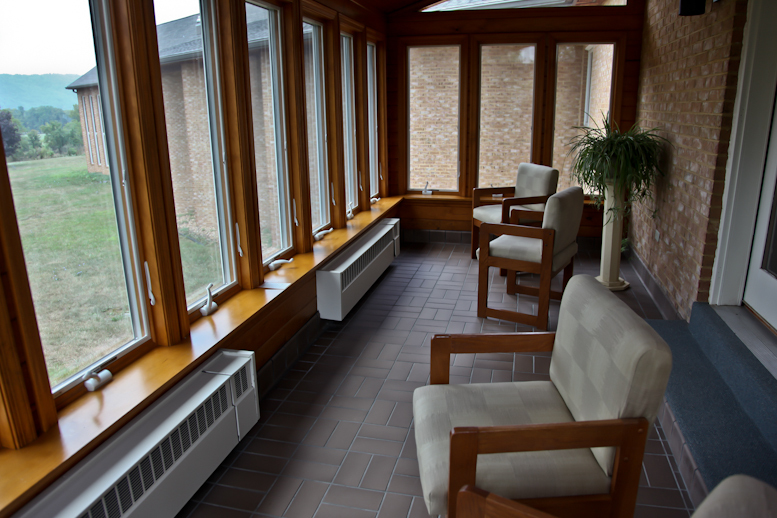 Staying with us in the Retreat House is a commitment to maintaining the silence contemplative environment of the place for all the guests. The Current Guest Master is Fr. James Orthmann and the Retreat House is managed by Carol Hensley. 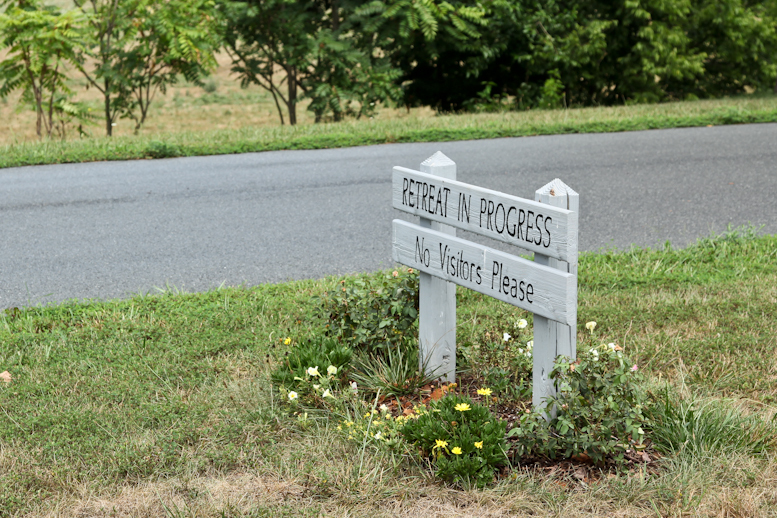 Weekday retreats begin on Monday at 3:00 PM and end on Friday by 9:30 AM. 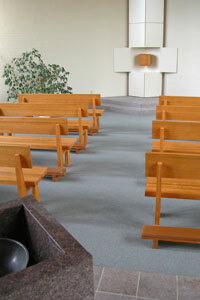 Weekend retreats are from Friday at 3:00 PM through Sunday at 3:00 PM. There are no conferences, nor is there any schedule you are required to follow outside of meals and the optional Liturgy of the Hours. 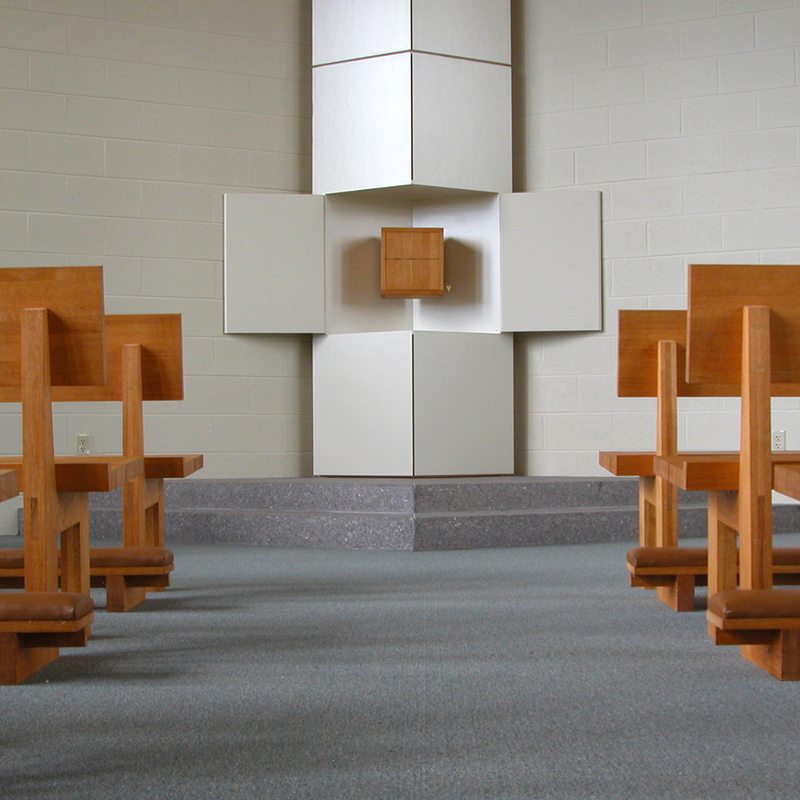 Under normal circumstances, a monk is available for the Sacrament of Reconciliation or Spiritual Direction; details for this service are posted on the bulletin board. 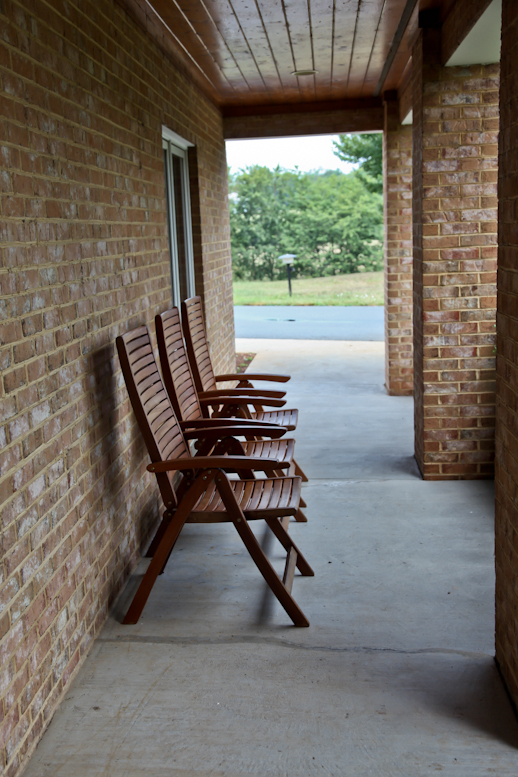 The opportunity for enjoying silence and solitude is a special part of your retreat. Please share this with the monks and the other guests by helping maintain the quiet of the surroundings and respecting the privacy of the monastic quarters. Catholic Priests who are making a retreat at our guest house are welcome to concelebrate Mass in the Abbey church with the monks. Please let Carol or Fr. James know if you intend to concelebrate. 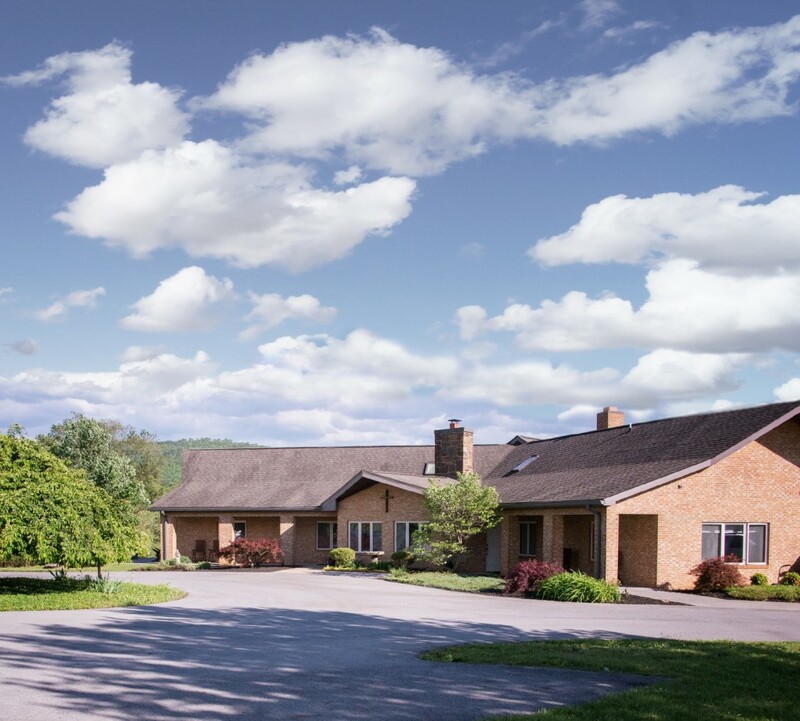 There are sixteen rooms in our Retreat House, available by reservation to men and women who wish to spend time in retreat. There are no conferences, nor is there a rigid schedule to follow. 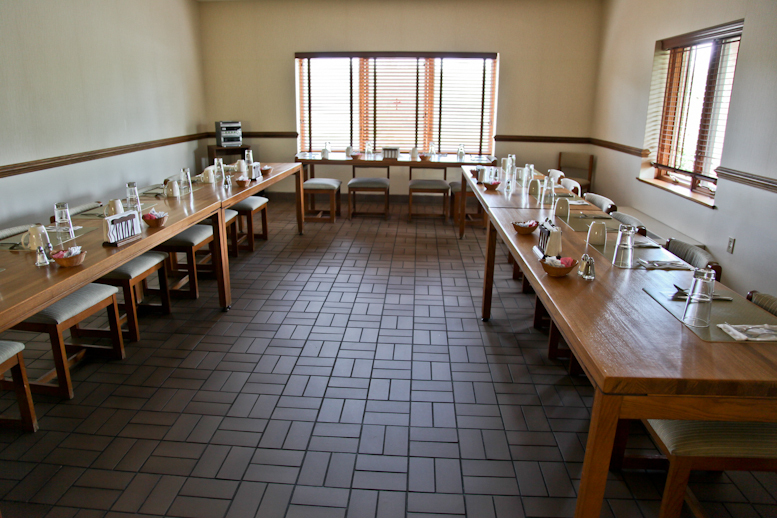 You need to make a reservation to insure that a room is available at the time you request. In any given year, you may make a retreat as often as you wish, if we have the vacancy. 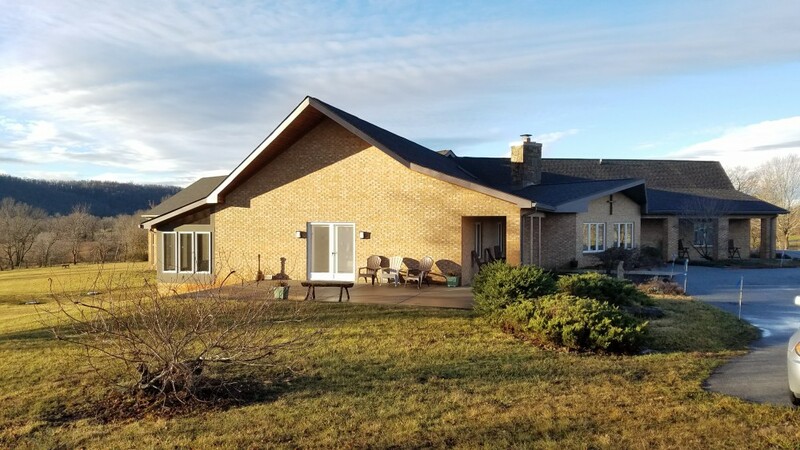 Carol is not in the office during Federal holidays and the Retreat House is closed over the Christmas Holiday and during the monks’ annual retreat. Rooms are single-occupancy, each with its own bathroom. Sheets, towels, soap and blankets are provided. There is a thermostat on the wall near the desk for the heat or air conditioning, depending on the season. On the desk is a laminated card with some helpful guidelines for your visit and an envelope for your offering when you leave. 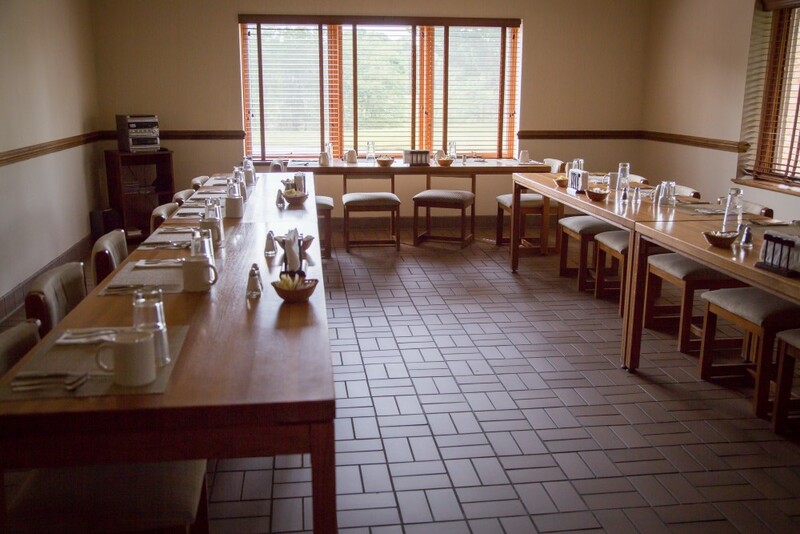 We ask each guest to leave a voluntary offering to defray the expenses of your visit; these include food, maintenance, utilities and staff salaries and benefits. We ask each guest to mail in a non-refundable $75.00 deposit after you’ve made your reservation with Carol. For a Friday through Sunday weekend, we suggest $200 to $350. For a Monday through Friday retreat, we suggest an offering of $350 to $600. Your deposit is, of course, part of that final offering. 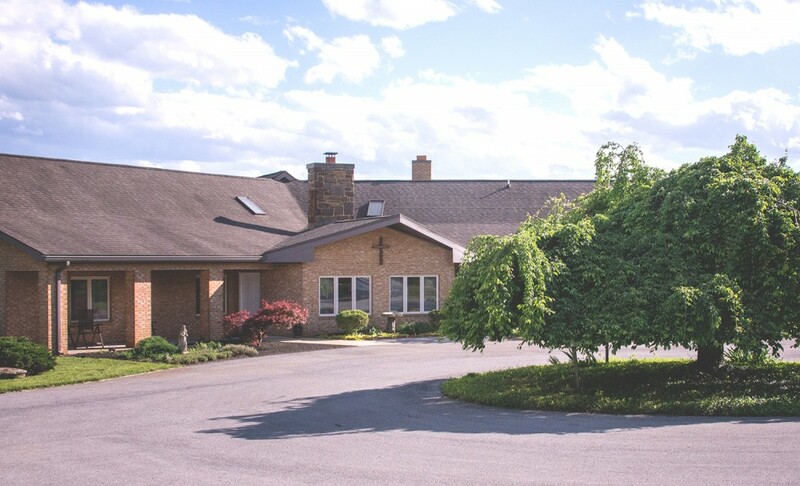 If you’re following a GPS, the address of your destination is Holy Cross Abbey, 901 Cool Spring Lane, Berryville, VA 22611. 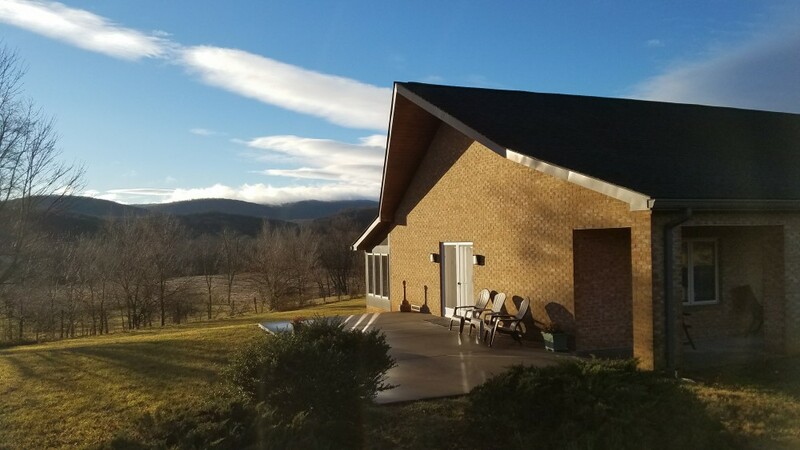 From Route 7, turn north onto Castleman Road to travel a country mile alongside the Shenandoah River, between rows of sycamores and osage oranges. (If the paving ends, it’s because you just missed the right-hand turn into the monastery gate.) After turning right through the gate, you enter Cool Spring Lane and soon a sudden expanse of farmland opens. A sign marking the Natural Cemetery is immediately to the right, near the open air chapel. Continuing another 0.5 miles or so, you will see the tan brick Gift Shop; directly before the Gift Shop take a right and the road brings you to the Retreat House with its parking circle. 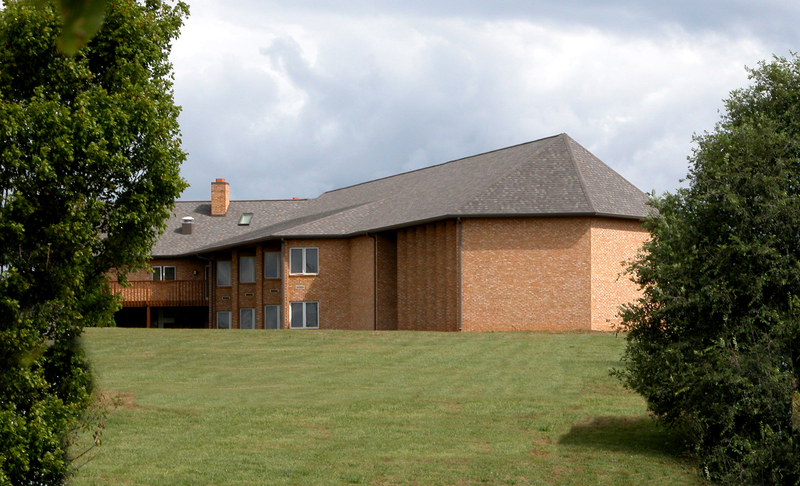 The parking lot faces the entrance to the Retreat House a door to the east, facing the Blue Ridge Mountains, or a door facing west, facing the Abbey. The vestibule leads to the foyer. To the left of the central hallway, you’ll see a Bulletin Board: there is posted a list of names and room assignments. Just find your name on the list and you will see your room number next to your name. Please put a check next to your name and room assignment. Rooms are single-occupancy, each with its own bathroom. 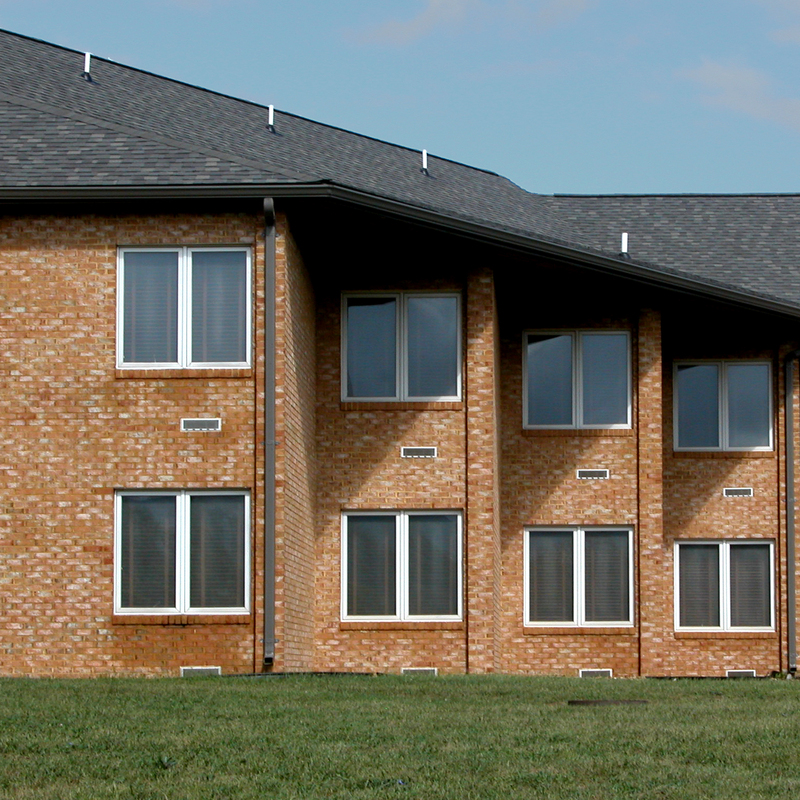 Each room has a single bed and modest but comfortable furnishings. Sheets, towels, soap and blankets are provided. There is a thermostat on the wall near the desk for the heat or air conditioning, depending on the season. On the desk is a laminated card with some helpful guidelines for your visit and an envelope for your offering when you leave. Rooms with an “A” before the number are on the same level as the foyer and entrance; rooms with “B” before the number are downstairs. 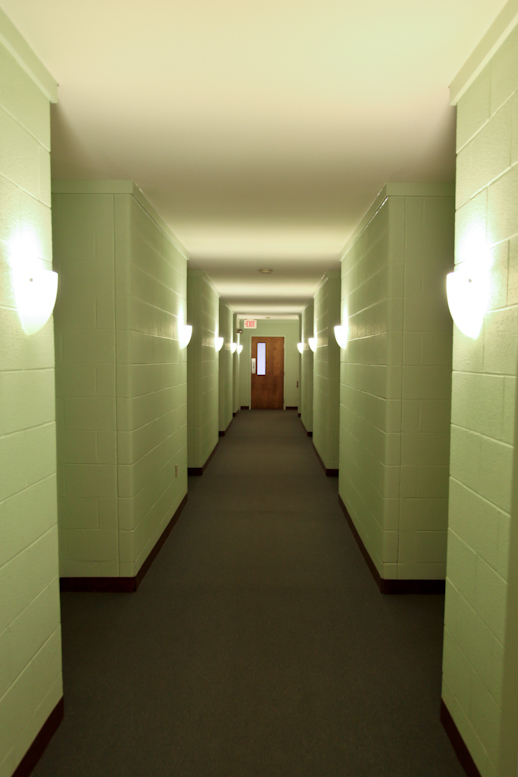 Odd-numbered rooms are on the left, even-numbered rooms are on the right. At the end of the retreat, please leave a second check mark next to your name on the bulletin board. You may place the envelope with your offering in the box attached to the lintel of the door to the west side of the foyer as you exit. 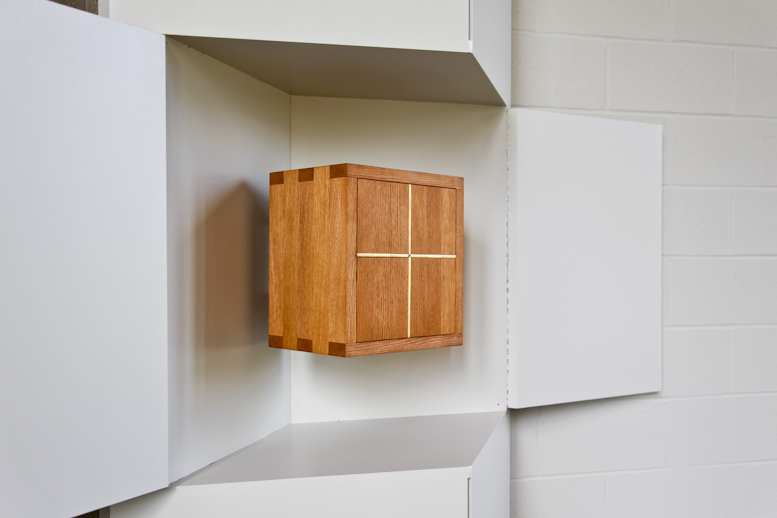 You may also leave prayer requests in the same box.